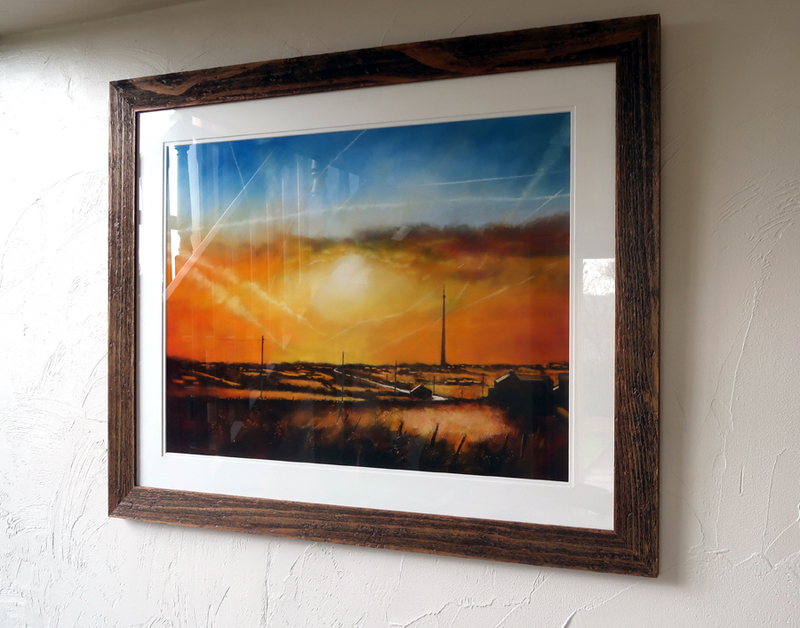 A pastel painting of a sunrise behind Emley Moor Mast. 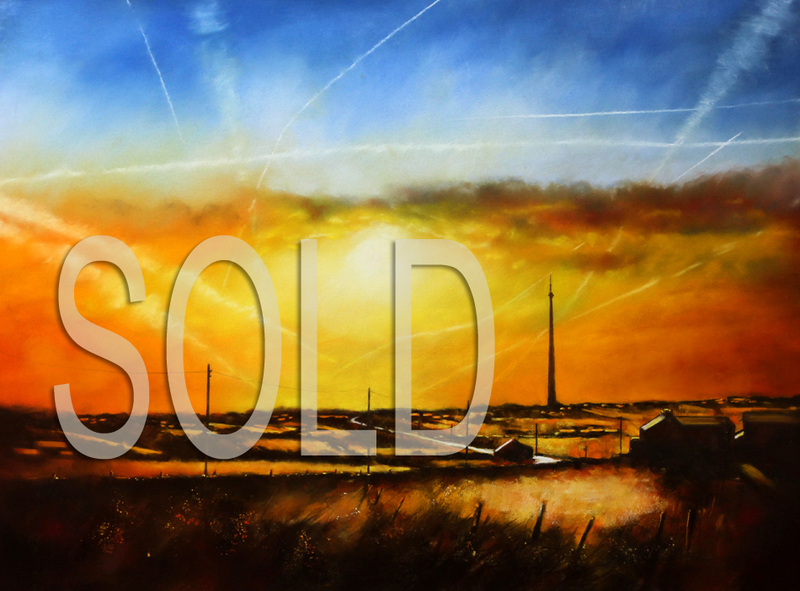 about the mast where I was asked to create a painting that could accompany the news item about changes to the mast. Feel free to ask any questions and I will reply quickly.